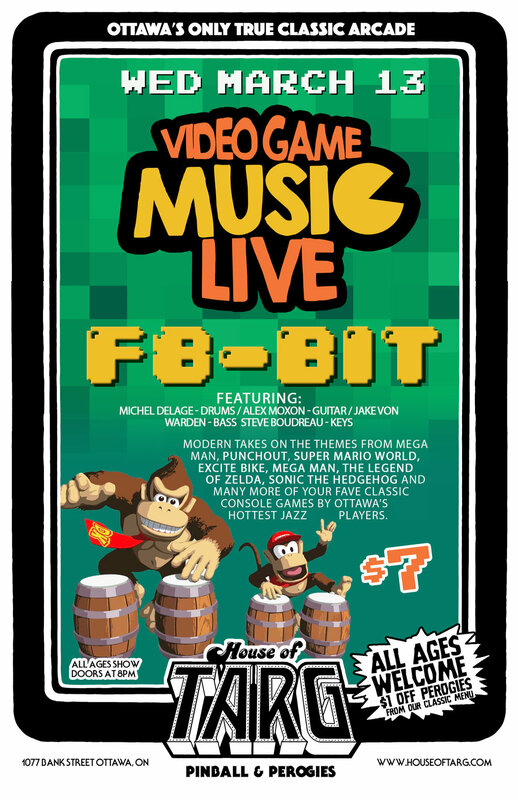 Yep it’s true - the amazingly talented F8-BIT, Ottawa’s hottest & most creative musicians, perform brilliant LIVE renditions of you fave video game music. F8-BIT are a cover band dedicated to classic console game themes. The quartet consists of some of Ottawa’s highest-scoring jazz players, who owe their quick fingers and epic grip strength to blistering rounds of Super Mario Kart as much as they do to music school. Expect to hear modern takes on the themes from Punchout, Super Mario World, Excite Bike, Mega Man, the Legend of Zelda, Sonic the Hedgehog and many more of your favourite classic console games. These top notch musicians deliver a total K.O every time!